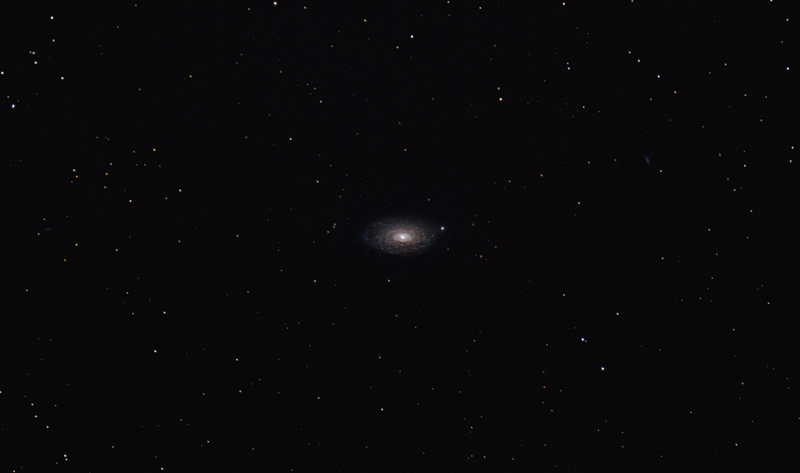 Processing Calibration and stacking done with Deep Sky Stacker. Background correction and noise reduction applied then the stars were separated from the rest of the image. This allowed different stretches to be applied to the nebula and the stars. The star colour was enhanced. A slight tracking error was removed from the star layer . Finally the star and DSO layers were recombined to produce the final image.